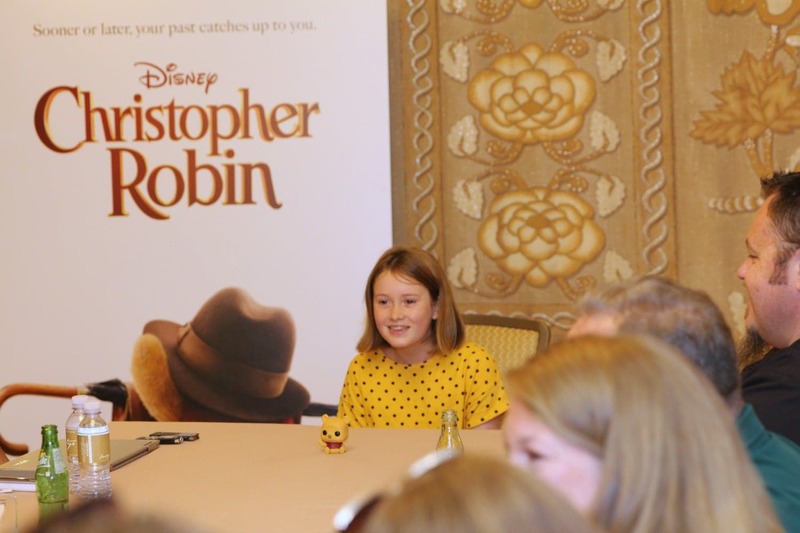 I’m excited to introduce you to Bronte Carmichael, the young actress who plays the role of Madeline Robin (Christopher Robin’s daughter) in the new Disney Movie Christopher Robin. 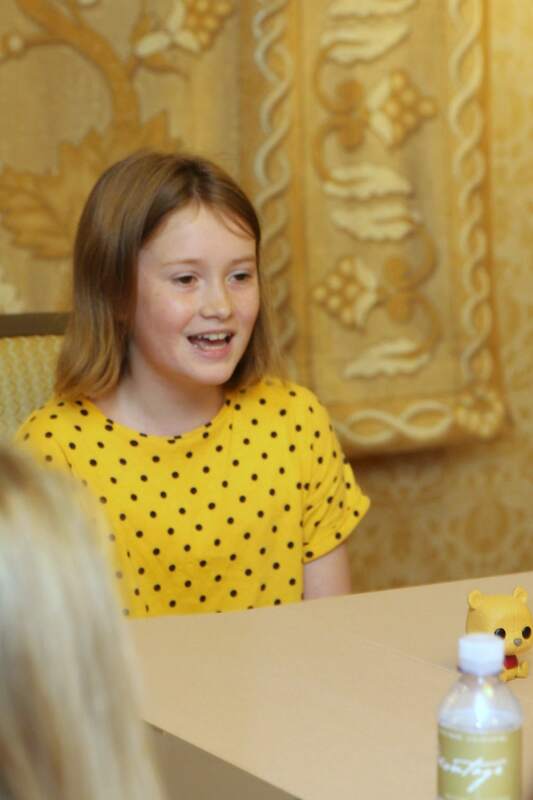 Last week I had the opportunity to meet this rising young star and talk to her about her role in the movie, life as an actress, and all about the loveable characters from the Hundred Acre Woods. 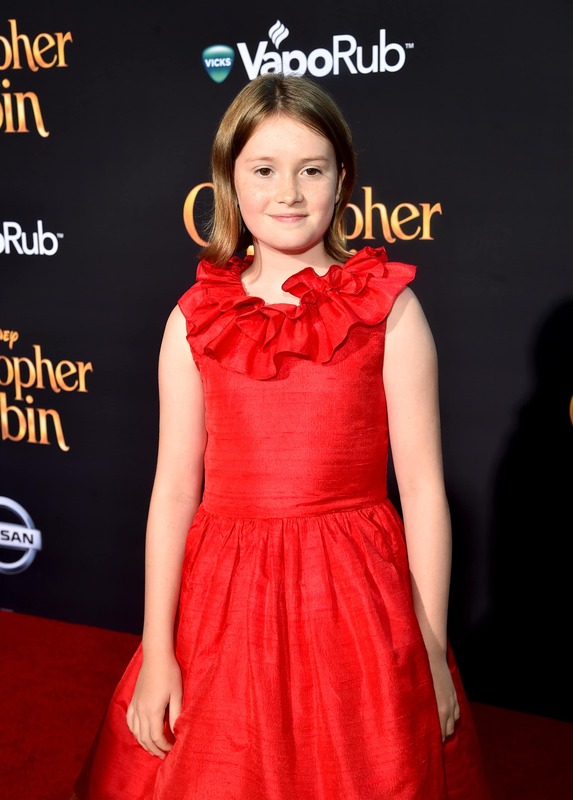 Bronte Carmichael plays Madeline Robin, the adventurous daughter of Christopher Robin in Disney’s heartwarming live-action movie CHRISTOPHER ROBIN. 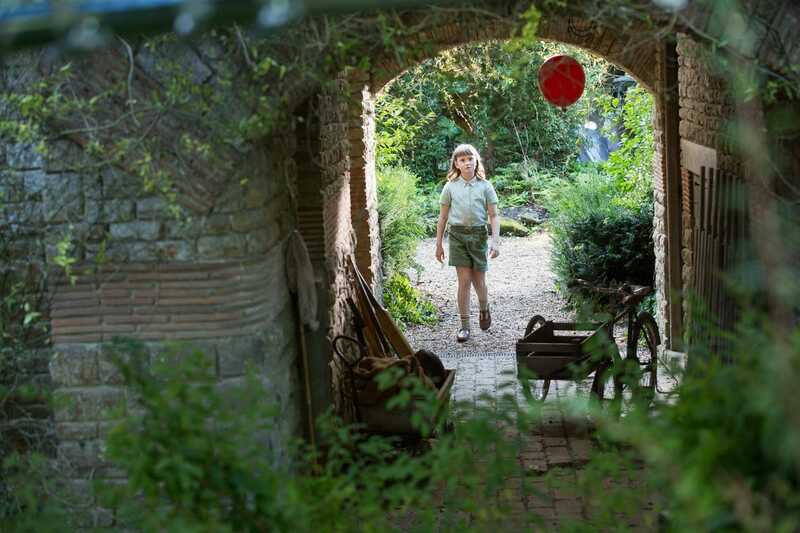 Hopefully, by now you have seen Christopher Robin in theatres and might be asking yourself, “Who is this actress who plays Madeline?” Bonte Carmichael is an eleven-year-old actress that I am sure we are going to see more of in upcoming years. Isn’t that just the sweetest thing ever! We were able to learn a lot about Bronte and her experience on set during our interview. I thought it would be fun for everyone to get to know this young actress by sharing 13 things I learned about her during our conversation. Bronte has lots of stuffed animals at home. She loves to play with them and doesn’t have a particular favorite. She said that acting with stuffed animals was easy and fun for her. It’s like playing! Her favorite scenes to film were all the action scenes. She got to do one of her own stunts where she tripped and enjoyed it. She also enjoyed the scenes where she was riding the bike. 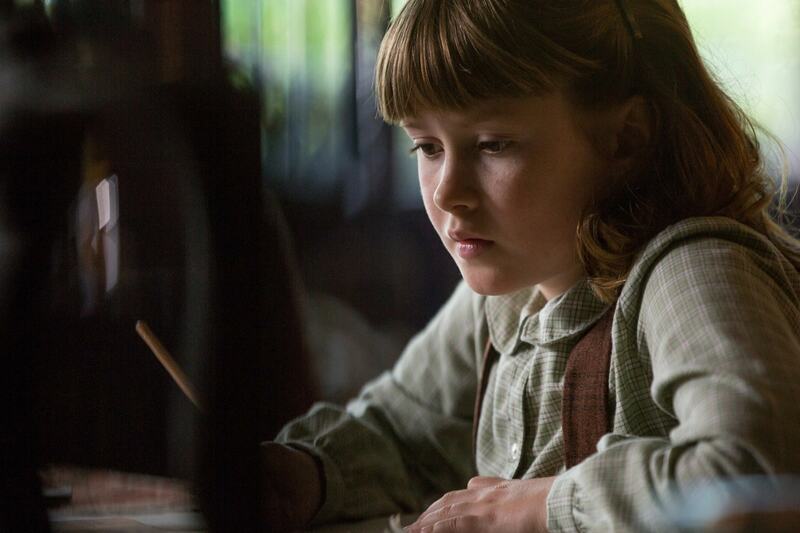 Bronte’s parents are both actors and they both have a small role in Christopher Robin. Bronte enjoys action games and games that she makes up using her imagination. She uses things she already has and turns them into new things when she plays. Bronte has been drawing since she was three years old. She started out drawing bee people. She enjoys drawing and was actually drawing earlier before our interview. 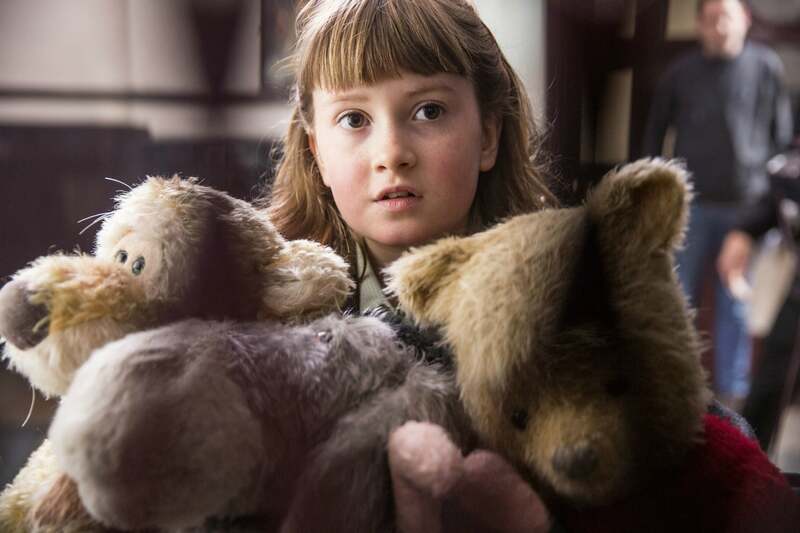 In her trailer on set, the crew set up Winnie the Pooh characters all over because her mom told them how much she loved stuffed animals. On set, when she wasn’t filming, Bronte would make little silent movies with some of the other child actors. She told us that they once made a little mini James Bond Movie. Bronte’s parents used to read the Winnie the Pooh stories to her when she was little. She remembers reading a pop-up book and she listened to the audiobooks a lot. Her favorite Disney movie when she was young was The Lion King. She mentioned that she was pretty excited for the remake that Disney is working on. Bronte thinks that you can never outgrow Winnie the Pooh. She said Pooh isn’t really babyish and he isn’t just for adults either, he is very special. At the end of shooting, the crew gave Bronte the Piglet from the movie to take home. Bronte says that out of all the Pooh characters she is most like Piglet or Tigger. Piglet, I can be nervous about some things, especially with acting, like, there are certain things that you can’t like, um, that you- that can like scare you. They can be certain takes that you aren’t that confident on, you can feel like Piglet sometimes. And then when you’re with Tigger you can be really excited about something. Like, I was definitely excited about coming to Disneyland while I was in LA. So you know, I felt like Tigger. Bronte did an amazing job acting in the movie. While we were chatting with her she had some helpful words of advice for kids if they want to be actors as well. Be as natural as you can and like, don’t let like, things get in the way of you. You just, let, let it flow and, you know, just be there in the moment, like, when you’re filming. I thought this was amazing advice and very wise… just like a loveable bear we all know! 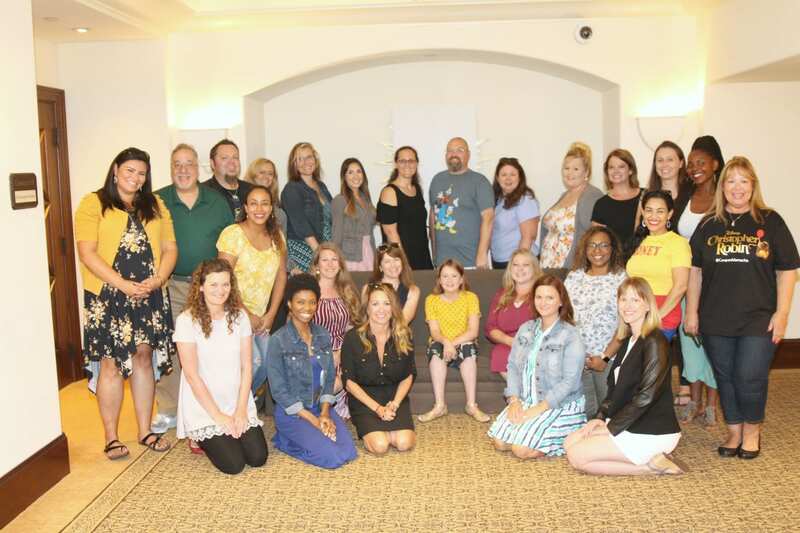 For more fun coverage of Christopher Robin please read my spoiler-free review of the movie, my experience at the red carpet premiere, my interview with Ewan McGregor, my interview with the voice of Pooh, Jim Cummings, as well as my interview with Hayley Atwell. 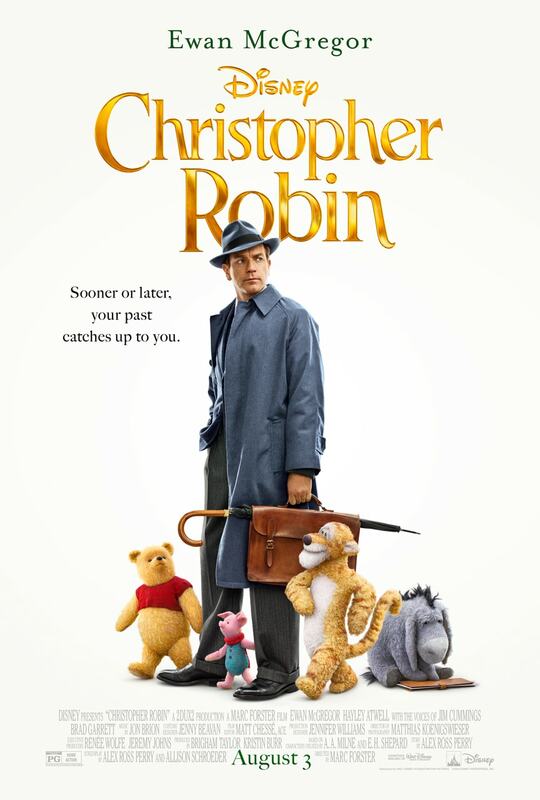 Get your tickets, Christopher Robin is in theaters NOW!